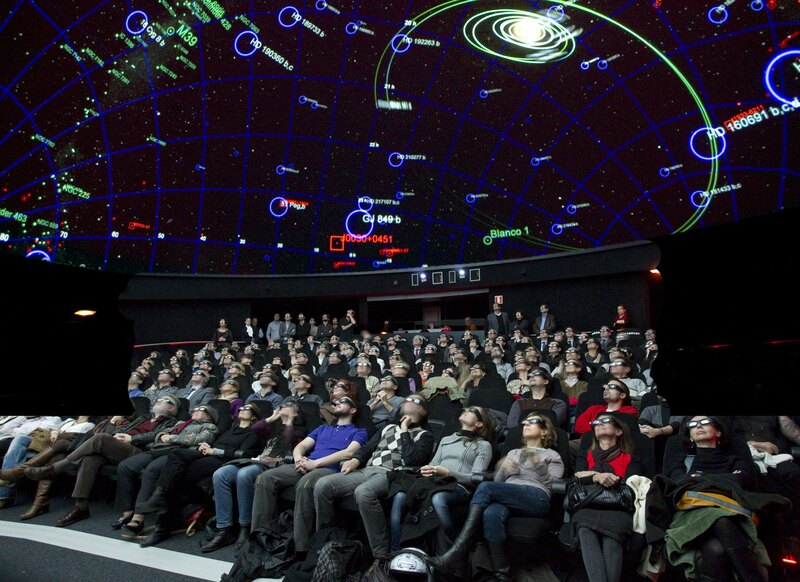 With the new installation of the 3D Planetarium, characterized by a great realism and spectacle, CosmoCaixa launches a new era in the world of the projections focused on science. To give accessibility to all users Fabulor joins the project incorporating its Sign-guide. The Sign-guide, as its name indicates, is a sophisticated player video unit prepared exclusively for persons with hearing disabilities. By receiving a signal synchronized with the contents that are reproduced on the screen of the Planetarium, the visitor can observe the translation of audio into sign language in the display of 4.2 inches of our device. Fabulor is proud to be able to bring art and science all audiences through a museum as prestigious and technologically advanced as it is the Museum of the CosmoCaixa science. From its inauguration in December 2011, the Museum has successfully projected its new 3D content, as well as immersive 2D movies; several groups of deaf people have been enjoying the new content with the sign guides Fabulor.